I don't know the reason why MTN Nigeria has decided to cut down their data volume at this time when 1GB data for N300 with a month validity and the uninterrupted 4G network is knocking the door from TStv Africa. Recall that, The MTN data plans were reviewed in May 2016and it was then the data plan of N1000 increased to 1.5GB, the data plan of N2000 increased to 3.5GB etc, but a few months back, I noticed that MTN reduced the 1.5GB data to 1GB, though they added the bonus of 500MB to it. 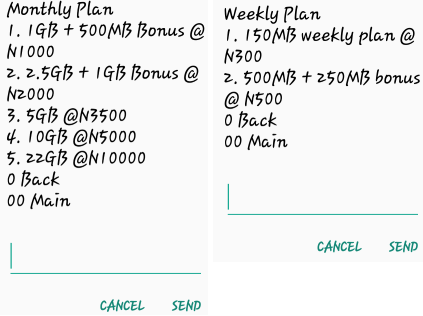 For those using double data, if you noticed when subscribed to the data plan of N1000, instead of receiving 3GB data, you will be given 2GB + bonus of 500MB, making 2.5GB in total. After that, MTN went the way of “a greedy wolf” who consumes customers' data as if their life depends on it to extend that no matter how you manage their data, the 2.5GB won’t even last you for 7days talk less of 30days. 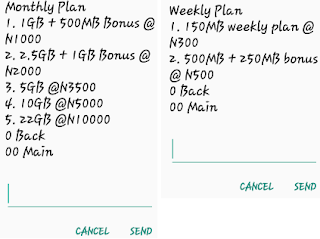 Now, MTN still wants to reduce their Monthly 1.5GB for N1000 data plan to 1GB (Plus 500MB 1am -7am), 3.5GB for N2000 to 2.5GB (Plus 1GB 1am-7am) as well the weekly 750MB for N500 to 500MB (Plus 250MB 1am -7am). MTN has started sending messages to their subscribers that starting from October 7th, they will be modifying their data plans. If you haven't seen the message, maybe yours will arrive later, probably before the date. Below is a sample of that SMS. Let take N1000 data plan for example, it means if you exhaust the 1GB during the day, you won't be able to use the 500MB bonus to browse until it's night from 1am till early morning 7am. MTN why this? Is this not going to chase away their subscribers? 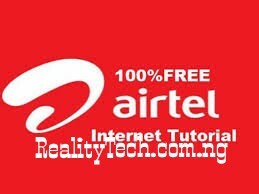 I have switched to Airtel 1+1 offer of 6GB for N1,500 combined with9Mobile Night and Weekend Data Plan of 5GB for N2000 ever since I noticed MTN data zapping and for now, I'm very ok with the combination of both the data plans.